Service is the cornerstone of our fraternity. 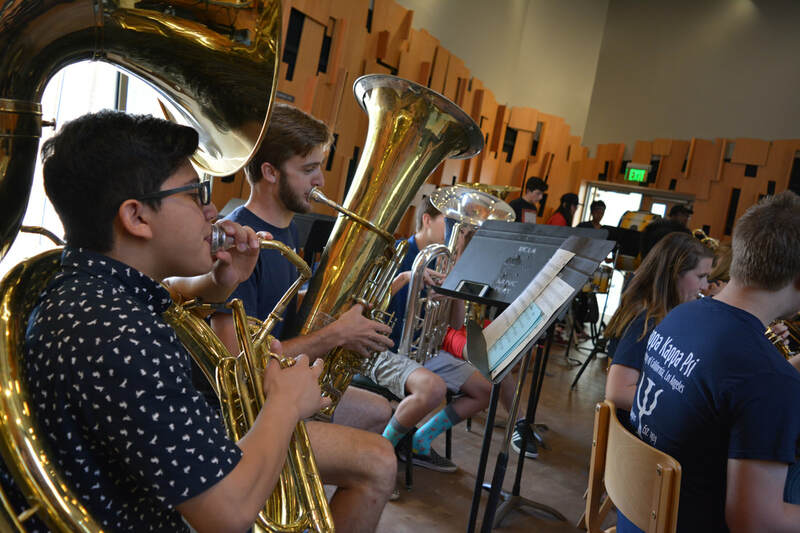 We take pride in our accomplishments and talents, but we wish to use them to benefit the UCLA Band, the UCLA Herb Alpert School of Music, and organizations beyond our campus. We believe that acting in service is essential to becoming a well-rounded brother, and that coming together to complete worthwhile service projects stimulates leadership in each and every one of us. Take a look at our selected projects below to see what the Psi Chapter accomplishes in its pursuit of service. During the summer, members of both Psi and EK help with high school band camps during the summer. Our brothers are mainly tasked with helping teach marching, teaching sectionals, giving a helping hand to the band directors or anything else the band may need from a member. Summer band camps are typically a week or two long and our brothers are very involved with helping out. This is a great way in which we continue to be involved with our immediate community and helps promote music and the education and continuation of band to younger students. 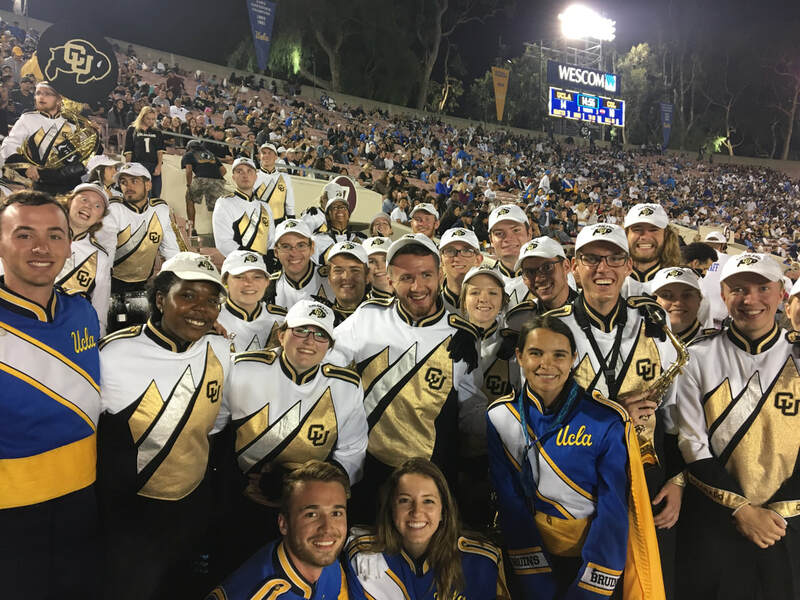 Fall tends to be a busy season in the schedule of the Psi Chapter - in the midst of marching season, our main focus is to support the UCLA Marching Band. With our sister sorority, the Epsilon Kappa Chapter of Tau Beta Sigma, we organize setting up water jugs during band camp, "Band Tower" stair maintenance, sending out postcards to new members of the Band, and snack packing for visiting bands during football season. Another event that the Psi Chapter regularly puts together in the Fall is a performance for the annual Fall Lab School Carnival. It's such a fun event to put on, and it's amazing how much support we get from it each year, and it's always a great way to engage the university and the kids at the Lab School! Though in the winter, we're in the midst of recruiting season and basketball gigs, we still put time aside to help the UCLA School of Music smoothly run Symphonic Band concerts (as we do throughout the year), but most notably the Wind Ensemble Invitational, when high school concert bands have the chance to come and play music on the stage of Royce Hall. During this event, brothers and sisters aid in helping out throughout the day with things like check in, tours, bus guides, and ushers for the stages. The Day of Music and Leadership is our flagship event. 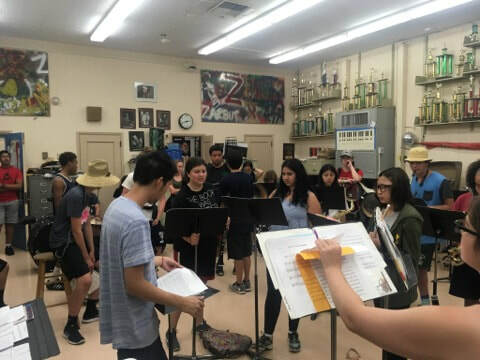 Every spring, we host a one-day educational workshop geared towards high school students who wish to increase their knowledge in the marching arts and engage with music at the college level. Our purpose is to grant an educational opportunity to surrounding high schools in subjects such as musicianship, leadership, communication, marching, and unity. 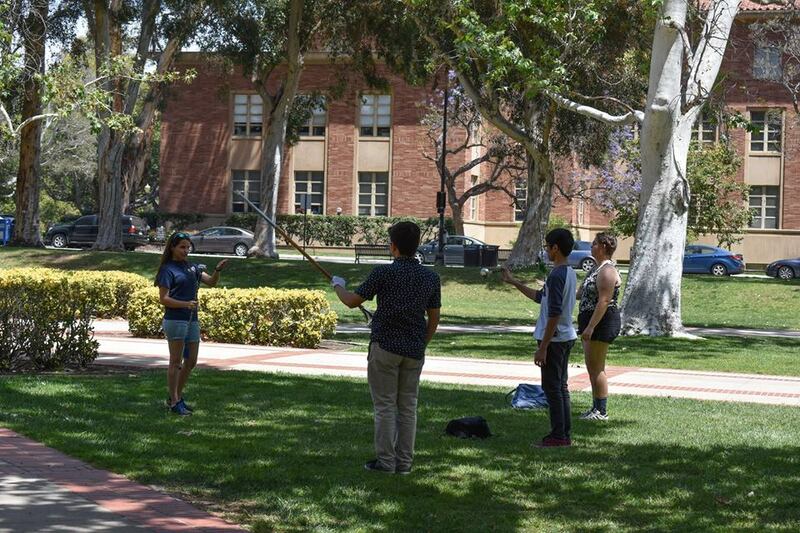 High school band students have the chance to meet, hang out with, and learn a thing or two from the members of the UCLA Marching Band (specifically Kappa Kappa Psi and Tau Beta Sigma, Psi and Epsilon Kappa members). We even hope this event will be able to recruit seniors as potential members of the Solid Gold Sound!